Girls On Fire, a not-for-profit organisation, was founded in 2016 by Bronnie Mackintosh, station officer with Fire & Rescue NSW. As 95 per cent of Australia's firefighters are currently white males, Bronnie is passionate about increasing both the number of women and different ethnic groups in the fire service, to create a more diverse, inclusive and effective workforce. For research shows that firefighters serve their communities better if they look, speak and act like them, Bronnie says. The role of firefighters has significantly changed over the years, too, with only 7% of the work involving fighting fires. Other tasks include fire and rescue education; home fire safety and building compliance checks; industrial, domestic and motor vehicle rescue; and working alongside police, ambulance and state emergency services. As a Churchill Fellowship recipient, in 2016 Bronnie travelled the world to observe how international fire services were embracing diversity, inclusion and the changing roles in their workplaces. She found that Girls Fire Camps in the US were proving an excellent way to introduce, and recruit, young women to the firefighting and emergency services. 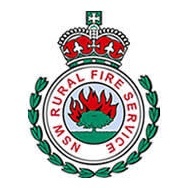 Bronnie's "Girls On Fire" organisation has initiated the inaugural, multi-agency Girls Fire & Emergency Services (GFES) Camp in Australia, taking place in December 2018 in the beautiful Hawkesbury area, just outside of Sydney. GFES Camps teach young women (aged 15 to 17) firefighting and emergency services skills and educate them about the wide variety of jobs in the services, encouraging them to consider a career or voluntary position in this field. "We actually save more lives through prevention, preparedness and recovery than we do in the 7% (fighting fires) response phase of our role," Bronnie says. "You don’t need to be an over six-foot white male to do any of that!" The GFES Camps also aim to build confidence and resilience, encourage problem-solving, teamwork and leadership, and test physical limits. Girls On Fire has partnered with several other agencies to make possible the GFES Camp. The multi-agency collaboration includes Girls On Fire, major sponsor Firefighters Mutual Bank, Australasian Fire Authorities Council, Fire & Rescue NSW, the NSW Rural Fire Service and the NSW State Emergency Service - most of which provide volunteer staff and facilitators to run the camps - as well as the YMCA, which processes applications and provides the facilities. The group has also formed a research partnership with Monash University, to measure the professional and personal impacts and outcomes for both camp leaders and camp participants.